Last year, right around Christmas, I went looking for a new pedalboard. This video explains why I purchased not one but two pedalboards from Pedaltrain. 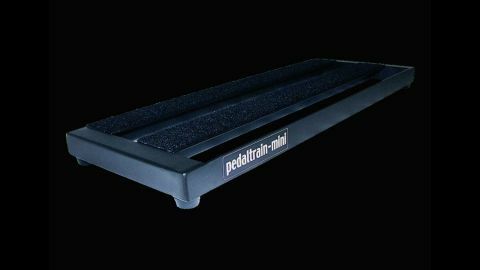 In short, Pedaltrain pedalboards are light, allow for very neat cabling and the raised design allows me to mount non-standard power supplies to the bottom. The Pro pedalboard stays in my studio allowing me room for all my 'regular' pedals with plenty of room for any pedals that I'm currently reviewing. The Mini is my practice and small gig pedalboard. Combined with a Visual Sound 1-Spot power supply, I can transfer 4 or 5 of my favorite pedals to the Mini and be out the door in hardly any time at all. Upon returning, getting them back on the big board is simple. 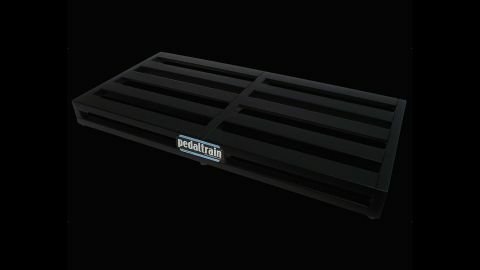 One last note about Pedaltrain: I love the fact that the velcro is included. It's sad that I almost expected that it would ship without any. Maybe I've been nickel-and-dimed too many times before. Both boards shipped with enough velcro to cover all the surfaces with some left over. That's the kind of decision made by someone who cares about their customer...not someone watching the bottom line.